The Soil Solution will premiere US-Worldwide at the Santa Barbara International Film Festival to be held January 26th – February 5th 2012. Visit SBIFF.org to receive the most current information regarding the film festival’s offerings. It’s been a wonderful 2 year journey. We’ve interviewed dozens of soil scientists, ranchers, and farmers all dedicated to building soil fertility. 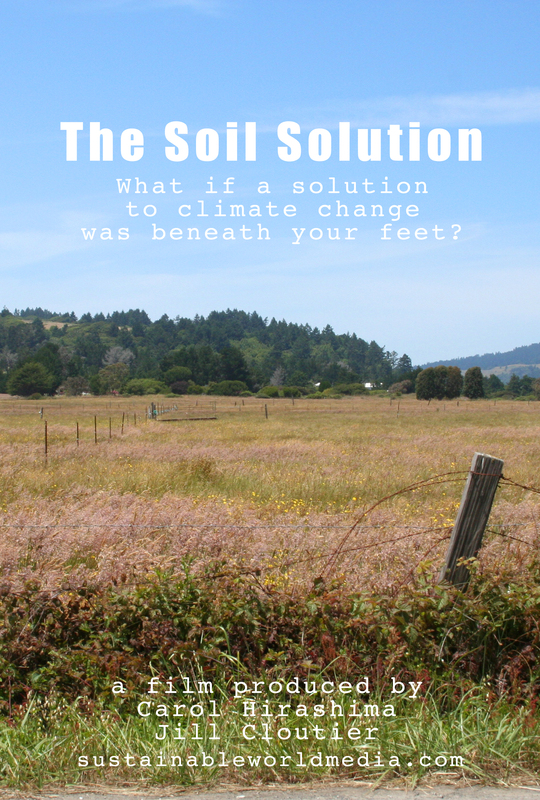 We’ve dodged stampeding grass-fed cattle, brewed compost tea, looked at the amazing life in the soil through special high-def microscopes, and mapped out every Whole Foods market from Santa Barbara to the North of San Francisco… and best of all we finally understand how soil sequesters carbon. We can’t wait to share the inspiring stories of the amazing soil stewards that we have met along the way. Jill, how long is the film? The later showing will conflict with trhe seed saving event to which I am commitee as a seed swapper and “expert”. Eight in the morning will take some doing!